So, I’m not sure about this old photo. 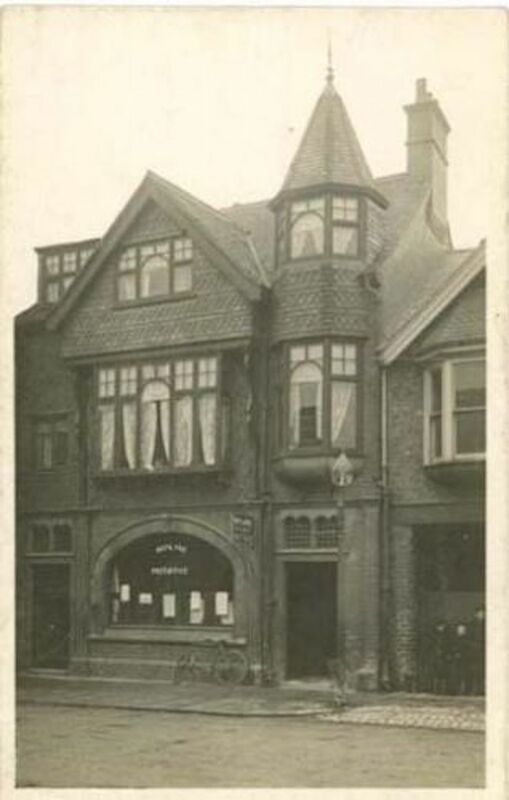 I noticed it on ebay and apparently it’s supposed to be a photo of an old Hoylake post office (c1910) at 72, Market Street. Now number 72 would’ve stood where The Row is now. So the old buildings in that location were all demolished. Back in 2009 I published an old photo of buildings that stood where The Row now is …can’t say it looks like the one above is there? So, can anyone confirm if this was indeed an old Hoylake post office? You can see a turret in the picture you posted in 2009 so it looks as though this building might have stood close to where the take-away is at the west end of The Row. It is a very handsome building unlike the take-away shop! The last of the three Market St photos published on this website in July, looking from Cable Road towards Meols, does appear to have a turret visible at the right location in the distance. Does anybody recollect this was the layout before demolition? The 1899 OS map does show a PO between Cable Road and Alderley Road, so it appears to have relocated before 1912 – but OS publication dates are not always indicative of amendment date. House numbers can also have changed, Is it known what was at 70 or 74 Market Street in 1910? there was the Handy Stores (they were!) run by two ladies. I don’t remember the Post Office although all the above were on the site where the Rows is in the 1950s. Since my last comment, 30 mins ago, I have coincidentally found a photo of J Storey, Coal Merchant’s premises and it is definitely not the same building. It is much more modern. Because I do not have a date for that photograph I am unable to ascertain if it was Storey’s new premises post demolition of the old block. Is there a way to post pics on this forum?